We certainly need more activist, more dynamic monetary policy that thinks outside the box in order to get this economy GROWING. Growth should be our focus, in my view, not inflation. Matured economies should worry more about inflation. How can our GDP be growing at 1.5 per cent and we are chasing inflation alongside the USA, whose matured economy is growing at 4.2 per cent? I sometimes pity members of the CBN’s Monetary Policy Committee. For the past 12 bimonthly meetings, they have held rates at 14 per cent monetary policy rate (MPR) with a corridor of +200 basis points and -500 basis points, liquidity ratio at 30 per cent, and cash reserve ratio (CRR) at 22.5 per cent. This is not too odd for a plateaued, matured economy like that of the U.S. or Japan, where rates have been held for longer, but for a growing (or supposed-to-be-growing) economy, this is worrisome. I have read quite a number of the individual statements of members, in which they laboured to explain their decisions. Of recent, a couple of them have tried to go contrary to the stasis that seem to have beset the Committee’s decisions in the past two years, by recommending an increase in the MPR (a harder monetary policy stance which will be unpopular with the public), but their opinions have been drowned by the more cautious majority in the team. The question is always whether to raise or drop the monetary policy rate or the other rates. To stretch monetary policy, one would have to also look at the stance of a central bank on foreign exchange. However, let us limit this discussion to the MPR, CRR and the liquidity ratio. Classical economic theory says that to spur growth, there is the need to reduce rates, because lower interest rates encourage people to borrow from banks and invest in schemes of their fancy. Also lower rates discourage a situation where people simply park their money in the bank to earn rent. The same theory believes that higher rates slow down the economy and helps to tame inflation, as people borrow and spend less. More liquid funds are also parked in the banks as term deposits in a high-rate regime. I’ve actually disliked monetary economics since my university days. Even as a starry-eyed teenager in the late 1980s, listening to some bog lecturer talking about these theories, I always felt monetary policy was tripping. Yes monetary economics – especially in Nigeria – seem to be laying claims to what it cannot possibly achieve. Look at the idea of money in circulation, for example. 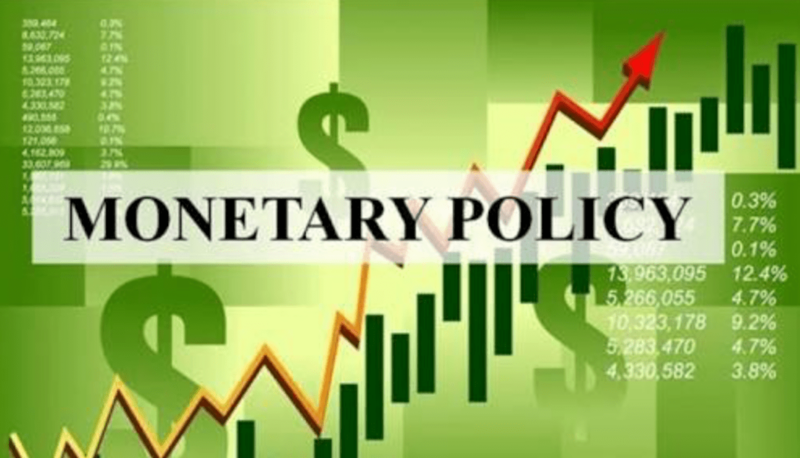 The Central Bank of Nigeria (CBN) can reel out a certain figure that it believes represents the money in circulation, and monetary economists believe that money supply is the chief index that a country’s authorities must focus on in determining the prosperity of an economy. I am currently listening to a lecture delivered by no less than Milton Friedman, in which he states that “the first step, towards understanding the cause of inflation is to recognise that it is almost and everywhere a monetary phenomenon. It’s always and everywhere a result of too much money; of a more rapid increase in the quantity of money than in output. Moreover, in the modern era, the important next step, is to recognise that today, governments control the quantity of money, so that as a result, inflation in the United States is made in Washington and nowhere else…” The old man then goes on to explain how it’s only government that owns a press that prints money. And so on, and so forth. I felt like laughing. Friedman’s life view has probably become way to idealistic. He didn’t have in mind a place like Nigeria. All I had to do was google “man nabbed with fake currencies”, and “fake currency press discovered in Nigeria” and there it was. It is as if in every state in Nigeria there is a fake currency press. And I found that Nigerians are also involved in the fake currency business even outside Nigeria – in South Africa, Uganda, among others. How is the CBN sure that it is not playing and planning with very wrong figures? Have people made careers out of keeping a straight face in front of a camera and analysing meaningless figures? For example, I recall a former deputy governor of the same CBN saying at a lecture that 20 per cent of the money in circulation in Nigeria is fake! The CBN did not deny this officially. What about the cooked books of banks? Money supply is determined simply as: “M0 and M1, also called narrow money, (which) normally include coins and notes in circulation and other money equivalents that are easily convertible into cash. M2 includes M1 plus short-term time deposits in banks and 24-hour money market. M3 includes M2 plus longer-term time deposits and money market funds with more than 24-hour maturity. M4 includes M3 plus other deposits.” Can we possibly rely on the banks to give accurate figures of customers’ deposits in their accounts? Many have several servers that have successfully short-circuited the prying eyes of bank examiners (who are also Nigerians, meaning that they are on the lookout for a quick buck themselves). I read about the failure of a large microfinance institution recently and how they created several billions as ‘deposits’ in their books, even when there was no such money. What about the cases of fraud involving ‘bricketing’ – where ‘smart’ Nigerians refuse to burn dirty notes but divert it back to the economy by paying into their accounts? There is still one famous case going on now, involving the Ibadan branch of the CBN. There may be more, undetected. One of the past CBN governors was accused by someone I know very well, who worked there at a top level, of having diverted over N2 billion back in the day. So, what exactly is the amount of money in circulation? Note that the only thing worse than working with no data, is planning with wrong data. And this reminds one that the director-general of our statistics bureau recently confessed that his work is grossly underfunded and so he cannot produce data. We have never taken data serious here, but monetary policy is heavily dependent on good data. So each time I see on television, financial reporters and analysts belabour themselves by comparing our economy with others that are trying to get it right, or by quoting data that sounds sweet to the ears but signify nothing, I wonder if we all cannot spend our times on something more productive. Let us examine some other problems with monetary policy in our clime. The link between interest rates and inflation seems permanently broken in these parts. The link between the policy rate of the CBN (14 per cent as at now), and the deposit and lending rates of the commercial/merchant banks here seems totally disconnected. In other words, banks seem disinterested in lowering their lending rates for poor Nigerians, even though we the taxpayers pick their bills and do their dirty laundry when they run into trouble – as they often do. However the ‘big ticket clients’, most of whose loans go bad, are the ones that can arm twist the banks and obtain ‘prime rates’ (rates meant for the best customers, usually close to the CBN rates. But if the CBN reduces the MPR to say 12 per cent, I can assure us that the lending rates of banks to regular customers without clout, will not move a jot, even if deposit rates are dropped on such customers (the big deposit clients also get their way here). The banks are trying to max out profits, some of them because new holes have been created in their books. Non-performing loans have again gone up to 15 per cent, up from about 2 per cent where it was after Sanusi Lamido cleaned up the stable and the Asset Management Corporation of Nigeria (AMCON) was created to relieve the banks of N5.4 trillion. Our banks have unfortunately perfected the art of losing money, and this is quite annoying. I, for one, am unable to get a loan from any bank in Nigeria; I should if they were straight. The only credit I am enjoying today is that which I secured as a student in the UK in 2005/6, which I have maintained and which has been gradually increased over time. I should have serious issues with banks whose only relevance to me is that they have friends in government who give them ‘get-out-of-jail-free’ passes with the taxes I pay, but who come up with all sorts of excuses if I should need them to sort a problem for me. I believe that in this country, fiscal policy overhang or hangover has set in. The economy may be too primitive for monetary policy to actually spur growth. A broken, underperforming, skewed, corrupt, inefficient, wasteful, and cockeyed economy cannot respond to sophistication. On the flip side, if MPR was increased to say 16 per cent, yes, the banks will automatically take a cue and reprice loan books upwards, even though deposit rates will not catch up at the same pace. The wide margin between deposit and lending rates (sometimes as high as a whopping 25 per cent) will widen a bit more. I will speak for the banks here, that this wide margin is also occasioned by the high liquidity ratio, cash reserve ratio and other sterilisation that are forced by the CBN, but it is still very high and perhaps the highest in the world. Our banks need the confidence and trust of the people and so have to work on some of these optics. Perhaps more to the point and in answer to late Mr. Friedman, on the streets and in our markets, a higher interest rate level does not automatically lead to lower inflation. Though I believe our macro indices for now are a big fiction, but we all know that prices rise – or occasionally fall – in Nigeria for different crazy reasons, and that we believe in leaps and bounds. The government itself fuels this phenomenon. Fuel prices are usually reviewed up by 100 per cent, while electricity bills were reviewed up by 45 per cent a few years back, with GenCos and DisCos pining for another bazaar soon. And each time there is a 100 per cent increase in fuel prices or anything close to this, the transportation cost, and the price of stable food, rise by 100 to 200 per cent, as if its only petroleum that is the input for all items in the market. In other words, we take advantage of ourselves and that is the cause of inflation here. Our people need education. And government needs to be more responsible. A misguided money-grubbing ethos is part of our problem here. We are all in a rat race to nowhere. Even in developed countries, most people generally settle down to a honest job or two. But here we are all trying to ‘hammer’! Salary earners bear the brunt. Wait until the minimum wage is eventually increased. Everyone who sells something which is essential to the masses will surely double their prices – and the wage increase advantage will disappear, with those who are unemployed feeling the pinch more sharply, while the crime rate goes up. So, I wish our monetary policy committee members a lot of luck in their experiments. I pray they are able to come up with some out-of-the-box ideas that returns relevance, accuracy, causality, credibility to their deliberations, so that our people don’t begin to get wary of all the grammar and all the allowances they may be collecting. We certainly need more activist, more dynamic monetary policy that thinks outside the box in order to get this economy GROWING. Growth should be our focus, in my view, not inflation. Matured economies should worry more about inflation. How can our GDP be growing at 1.5 per cent and we are chasing inflation alongside the USA, whose matured economy is growing at 4.2 per cent? I believe that in this country, fiscal policy overhang or hangover has set in. The economy may be too primitive for monetary policy to actually spur growth. A broken, underperforming, skewed, corrupt, inefficient, wasteful, and cockeyed economy cannot respond to sophistication. And yes, Friedman was wrong. We need to think our own thoughts and stop repeating dogma.